There is nowhere in England that retains a more direct association with early Celtic Christianity than Cornwall. 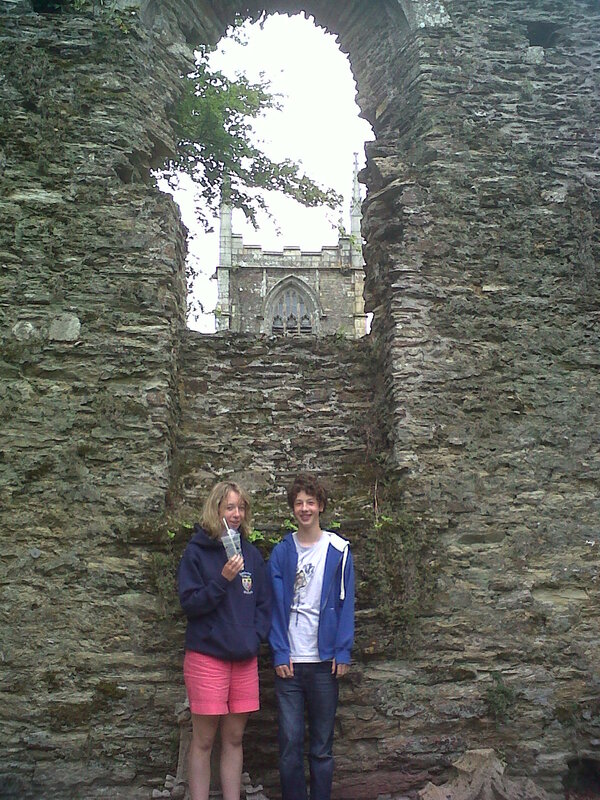 This is evident in the churches, the wayside crosses, the wells and memorials which mark the 30-mile Saints’ Way from Padstow to Fowey, and in the ruins of priories and friaries at places like Bodmin. 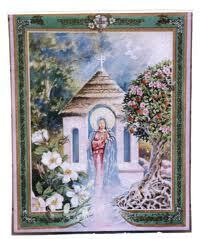 Many of the early Cornish Catholic saints whose names are retained in the parishes and villages of Cornwall had direct links with the church in Ireland, Wales and Brittany. Cornwall’s Celtic identity and its vibrant Christianity were re-enforced by its ancient British language. Cornish shares about 80% basic vocabulary with Breton, 75% with Welsh, 35% with Irish, and 35% with Scottish Gaelic. Cornish evolved from the ancient British language spoken throughout Britain south of the Firth of Forth during the Iron Age and in Roman times. In 1549 as in attempting to consolidate the Reformation, Edward VI banned the Cornish tongue, imposing his English Book of Common Prayer. 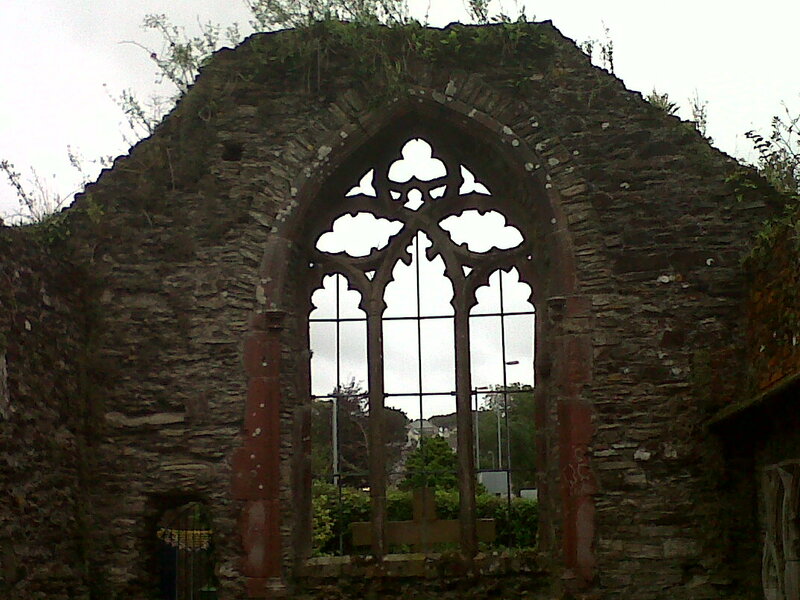 Hitherto, the Mass had been said in Latin but sermons and preaching was in Cornish. The destruction of the age-old forms of worship led to seething discontent, to the Prayer Book Rebellion, and to the inevitable demise of the native tongue. The leaders of the rebellion were executed and the people suffered numerous reprisals. Cornwall’s traditional devotions – not least to Our Lady – its mystery plays, its celebration of saints’ days and festivals – died with the language. 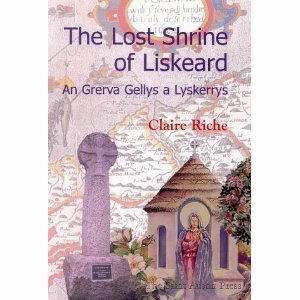 The un-churching of thousands of ordinary people led to secret Catholic recusancy and where people could, especially in remote corners and parishes of the county, they held on to traces of the traditions which had been sacred to those who had gone before them. For two hundred years, Cornwall was waiting for a religious revival which would speak again to its heart and soul. The decay of the established church in the eighteenth century provided the environment in which the remarkable Wesley brothers would be able to reignite Cornwall’s Christian faith. By 1851 32% of Cornwall was Methodist while the established church attracted only 13%. 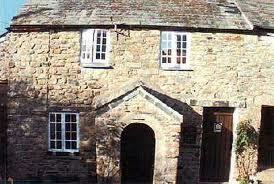 The Wesley Cottage at Trewint was where, in 1743, John Wesley stayed on his first trip to Cornwall. 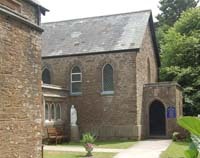 It is a hospitable place, open to visitors, containing displays of Wesleyana and recalling the phenomenal impact of chapels built in every village and hamlet – touching the lives of agricultural workers, china clay and tin miners alike. Many other places in Cornwall capture the tragedy and drama of those times – and also the hopefulness of these better days. In addition to walking the Saints’ Way, and connecting with the Christian communities who were building their churches 700 years ago, visitors to Cornwall should take time to absorb Cornwall’s Christian story. In the ancient town of Launceston, whose motto, “Royale et Loyale” stems from its fierce support of the Royalist cause, the welcoming Catholic parish maintains the shrine of St.Cuthbert Mayne,canonised in 1970. On June 8th 1577 Fr.Mayne was seized at Golden Manor, the Probus home of Francis Tregian after William Broadbridge, Bishop of Exeter, and Sir Richard Grenville, High Sheriff, began a systematic campaign to apprehend him. An incriminating Catholic devotional article, an Agnus Dei, was found around Fr.Mayne’s neck and he and Tregian were arrested. Tregian spent 26 years in prison. On November 29th, 1577, Fr.Mayne was executed in Launceston’s marketplace (where a plaque marks the spot). He was offered his life if he renounced his Catholic faith and acknowledged the supremacy of the queen as head of the church. He responded by kissing a copy of the Bible and declaring that “the queen neither ever was, nor is, nor ever shall be, the head of the church of England”. Refused the opportunity to address the crowd Fr.Mayne was allowed only to offer private prayer. Hung on a gibbet it is believed that he was cut down while alive but was unconscious as he was drawn and quartered. 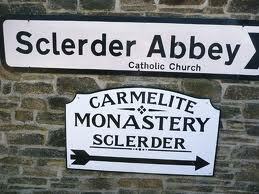 From Liskeard, a good place to end a visit to Cornwall might be Sclerder Abbey, situated between the towns of Looe and Polpero. Mass is said daily for its Carmelite nuns. Founded in 1843 by the Dames de la Retraite, it became home to a community of Poor Clares – including Amy Elizabeth Imrie, one of the ten richest women in England. The heiress of the White Star Line she gave most of her money to Liverpool’s poor and funded the building of the city’s beautiful church of St.Mary of the Angels. Mother Clare Imrie died at Sclerder in 1944. Who knows, perhaps a contemporary Amy Imrie will one day be the benefactor who will bring about a restoration of Cornwall’s Ladye Park. 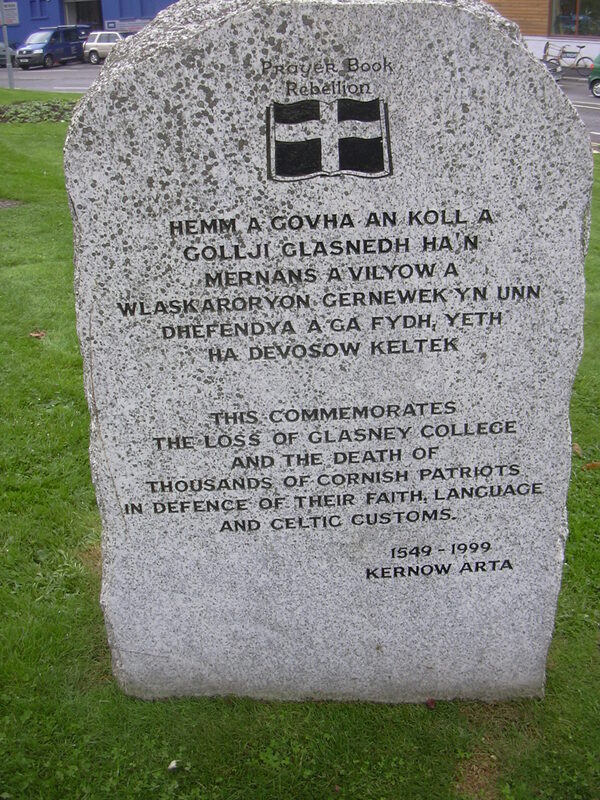 The Prayer Book Rebellion was a response by the Cornish against the Crown’s decision to ban the use of the Cornish language in the liturgies. 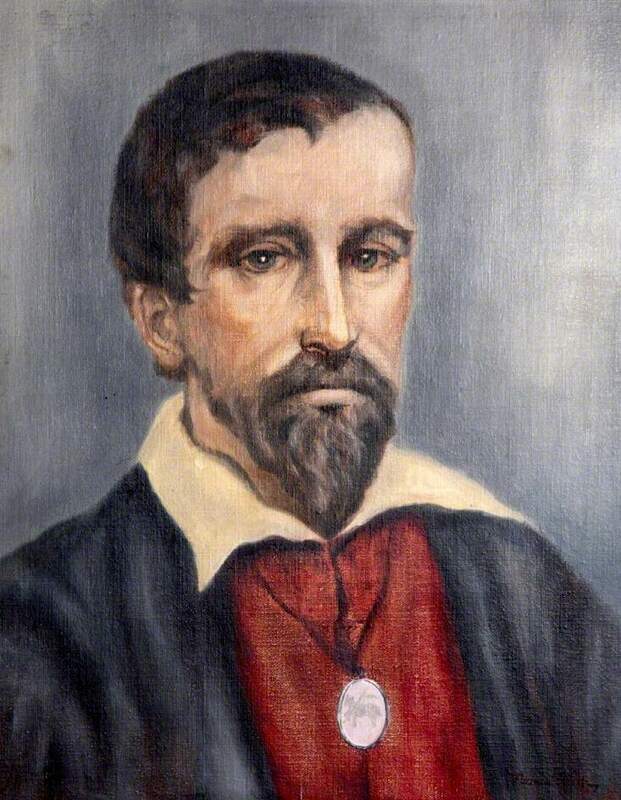 The Catholic martyr Cuthbert Mayne was executed in the town square at Launceston – hanged drawn and quartered. ha bennigys yw froeth dha vrys, Yesu. lemmyn hag yn eur agan mernans.